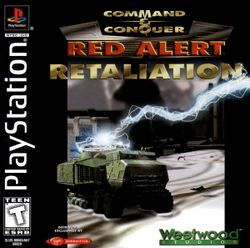 This article is about the PlayStation port of Red Alert expansions. For compilation of Red Alert expansions for DOS/Windows that has a similar name in the francophone market, see Command & Conquer: Red Alert - Mission Tesla. Command & Conquer: Red Alert: Retaliation is the PlayStation port of the first Red Alert game expansions, Counterstrike and Aftermath, bundled together and upgraded with exclusive FMV cutscenes. The cutscenes introduced two new characters - general Carville and general Topolov. The campaigns in Retaliation are similar for Allies and Soviets. Instead of the main force deciding the outcome of the war, the player is assigned to a certain auxiliary command - in the Allies' case, an American detachment led by general Carville, while Soviet commander is under the command of general Topolov, both of which have been entrusted with several "secret projects". Special Aftermath units such as the Tesla tank, Field mechanic, MAD tank, and Chrono tank are available in later missions. Specific units such as Volkov, the Soviet Super tank and Allied stolen nuclear armed MiG also appear in certain missions. It should be noted that both types of Tesla tanks in Retaliation are represented: the prototype based on the Radar jammer from Counterstrike and the final Tesla tank from Aftermath. Even though there are different sections for structures, they cannot be both used at the same time. If attempted, the "unable to comply, building in progress" message will be sounded. This sidebar setup is reminiscent of the sidebar used in later C&C games as of Red Alert 2. The gamepad is a bit slower and less accurate to use than the mouse, however the speed of the gamepad can be increased by holding the R1 button at the cost of pointer accuracy. 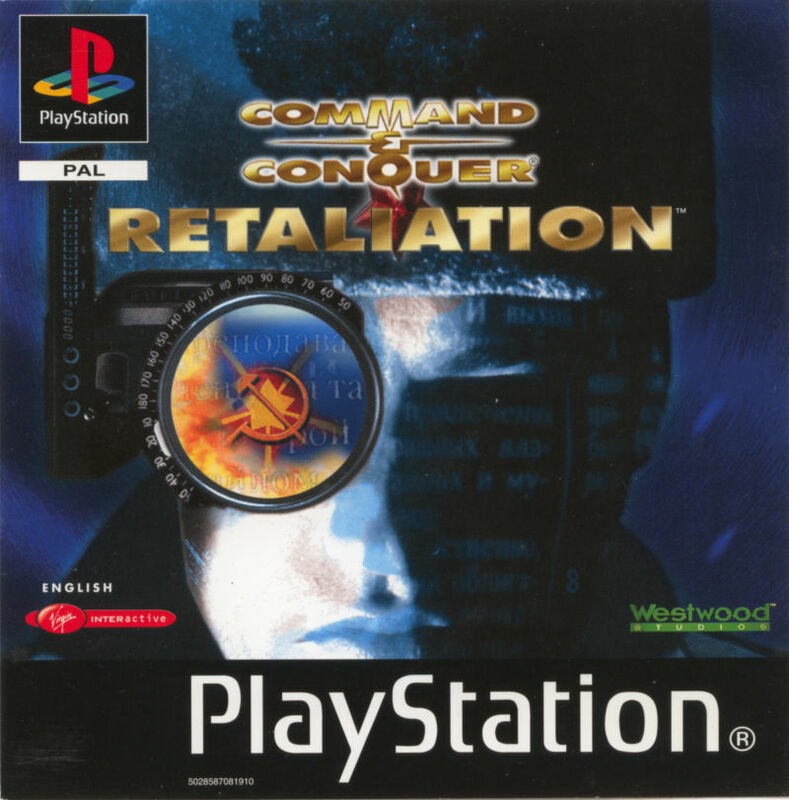 Like the other versions of C&C on the PlayStation, it does not support the DualShock controller. Due to a possible bug, the music track used in the It Came From Red Alert! intro occasionally plays as a music track in-game. The track cannot be selected in the options menu. The game has a cheat code to turn ore into civilians. This is often seen as a reference to the movie Soylent Green. This page was last edited on 6 September 2018, at 12:24.